"If a few hillbillies get killed in the name of progress, so be it." 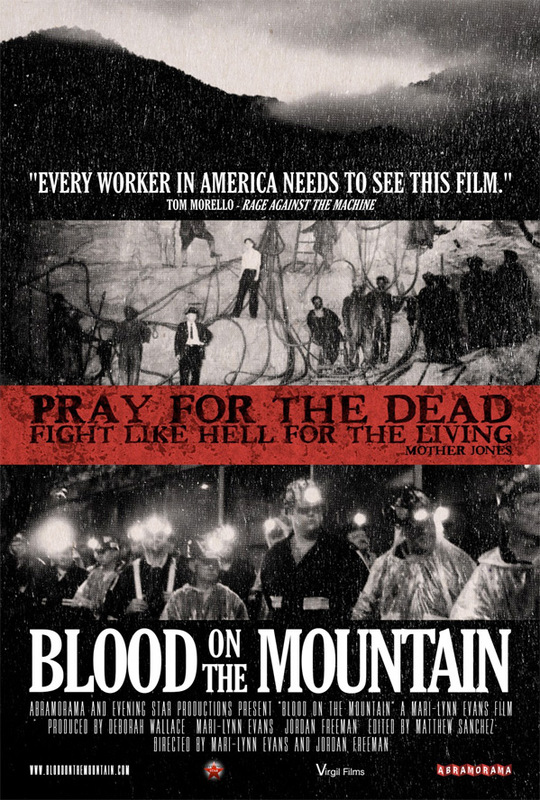 Abramorama has released an official trailer for a powerful documentary titled Blood on the Mountain, a brutally honest look at the environmental and economic injustice and corporate control in West Virginia and its effect on all American workers. The film is made by the same filmmakers behind Coal Country, and is described as a searing and impassioned examination of the struggles of hard-working, misunderstood people. It's about how the coal industry has evolved to become so bad in West Virginia, that it's exploiting and controlling citizens, without any chance for them to speak up. "If our government won’t hold them responsible, who will? We will." This looks good. Blood on the Mountain focuses on the environmental and economic injustice and corporate control in West Virginia and its rippling effect on all American workers. This film will tell the story of a hard-working people who have historically had limited choices and have never benefited fairly from the rich natural resources of their land. The failure to diversify the economy has insured control by outside, unrestricted corporations with the support of politicians kept in their positions by these very same companies. Blood on the Mountain is co-directed by Mari-Lynn C. Evans & Jordan Freeman, both making their directorial debut with this film after producing The Appalachians and Coal Country. Abramorama will release the documentary in select theaters starting November 18th this fall. For more info, visit their official website. My family hails from West Virginia. The only place worth visiting is Charleston. Everywhere else is a habitual drug users paradise. Mines shut down, town shuts down. Shame...used to be beautiful. Good to see some light shed on the subject. Quite hard for me to argue for this cause since it is proven to be very bad for the environment. Still though, it really is bad situation. I've watched a documentary on this before, that Don Blankenship character was a right evil fecker. Im sure it will be fair and balanced without a tinge of bias.